When the Transmission Bittorrent client is fully released, you will be able to use vTorrent on your choice of mobile device. Before the Transmission client is released the vTorrent network will deploy major upgrades to increase user privacy. vTorrent is the world’s first decentralized crypto-currency client with built-in access to the 150 million to 250 million monthly Bittorrent user network. The vTorrent crypto-currency client can scale to billions of users and will soon be helping content creators all around the world to connect with buyers. Get the taste of freedom from the World’s Most Powerful peer-to-peer technology, Crypto-Currency with BitTorrent working together. vTorrent is the natural evolution from uTorrent: same functionality, but with paid seeding to encourage more people to share and to provide a way for content creators to get paid for their hard work. Share your own content on a distributed network with complete privacy. Be rewarded for selling your files and earn up to 5% interest per year on your VTRs for contributing to the network. No more worries about censorship. 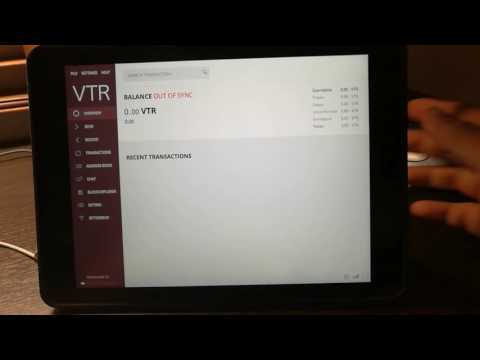 With vTorrent everything is fully distributed throughout the network. Join millions in social media for private chat groups, following stars as they release new content or chatting with friends. Check back soon for the latest client.